Liberian journalist says she has been forced into hiding after lifting the lid on initiation rituals, including genital mutilation, by a secretive women's society. Mae Azango, a reporter with Liberian daily Front Page Africa, published a story on March 8 in which a woman recounted how when she was a child she was held down and had part of her genitalia sliced off by members of the Sande Society. The society is an initiation school where women and girls are sent to be mutilated and groomed to be prepared for marriage, as culture and tradition demand in the west African state, Azango wrote. Azango's story was illustrated with pictures of initiated teenage girls emerging from the bush. International media organisations and NGOs have called on government to step in, a difficult task for the regime as courts have no say in the matter. "The court cannot do anything in this case. It is part of the customary law so it is beyond the control of the judiciary," said Liberian lawyer Emmanuel Capeheart. "It is the law of the traditional people. Once you have violated it they can deal with you and the law cannot help you. If these women get Mae, they can carry her to the bush and she will stay there the longest, no one can go there to help." 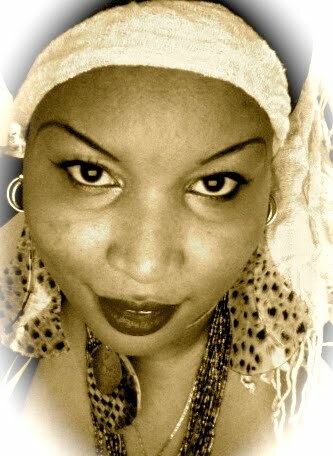 The powerful secret societies, called Poro for men and Sande for women, are spread throughout west Africa. "Poro and Sande are responsible for supervising and regulating the sexual, social, and political conduct of all members of the wider society," according to the book Anthropology: What Does It Mean To Be Human by Robert Lavenda and Emily Schultz. In a chapter on west African secret societies they say top members "impersonate important supernatural figures by donning masks and performing in public". Girls taking part are bound to secrecy about what takes place during the initiation, making speaking about the societies extremely difficult. The woman in Azango's article, now aged 47, was forced to undergo initiation at 13 because of a crime committed by her mother in 1976. Azango reported that 10 of Liberia's 16 tribes practice female Genital mutilation. "In Liberia, the female genital mutilation (FGM) is rampant and at the same time an open secret," said sociologist Emmanuel Ralph. "Almost all the tribes in Liberia are involved in this practice. I know that this could be somehow strange to the western world but this is part of the African tradition. The government is afraid of touching the interest of traditionalists." Information Minister Lewis Brown told AFP that the government had launched an investigation. "The government's attention has been seriously drawn to the report of threat against Miss Mae Azango... the director of police has been instructed to protect the journalist who is daily in contact with the police." Liberian President Ellen Johnson Sirleaf is facing pressure on taboo issues such as female genital mutilation and homosexuality - especially after winning the Nobel Peace Prize last year. "We find it troubling that Liberia, boasting Africa's first female head, remains muted on the issue engulfed in controversy," Azango's newspaper Front Page Africa said in an editorial. "We hope that the debate emerging out of reporter Azango's report will push government and society as a whole to educate the uninformed public about the dangers and risks involved." My take on this that the only way we can overcome crimes against humanity especially on women commited in the name of "RELIGION, CULTURE,TRADITION " is to fight FGM and other atrocities as HUMAN RIGHTS VIOLATION!! 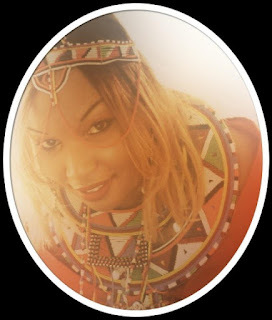 I love my people, my heritage as an African woman, I am grateful for our rich healthy and moral culture and will never fight that all I do as the voice for the voiceless is fight against HUMAN RIGHTS VIOLATIONS OF WOMEN, like FGM and VAW (violence against women)because it is a crime regardless of who is commiting it!!! 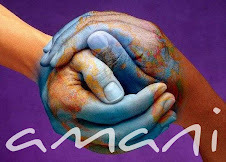 I DON'T FIGHT MY PEOPLE, CULTURE OR TRADITION I ADORE MY HERITAGE I SIMPLY FIGHT AGAINST CRIMES AGAINST HUMANITY! !, I understand the position President Ellen Johnson Sirleaf is in and am willing to help our first woman elected president and last year nobel prize winner to fight FGM as a human rights violation and educate our uneducated about human rights and complications that are permanently bestowed in someones life:(, and not as culture or tradition that is the only way we can win this.Do not be quick to judge President Ellen Johnson Sirleaf silence on this issue because as I say our people have two sides which they potray to foreigners and the reality of their day to day life, ONLY AFRICANS CAN REALLY IDENTIFY WITH WHAT AM SAYING. Married women who escaped female genital mutilation (FGM) are being threatened to undergo FGM a report in Kenya has stated. The report also revealed change of season for practicing FGM from December to August to avoid media spotlight and scrutiny from Government agencies and activists. "Those who evaded FGM are now being forced to undergo the cultural practice or their husbands be denied land inheritance," said Women Rights Institute for Peace (Wrip) Executive Director Mariam Suleiman while releasing the report. This was after Wrip undertook project activities geared towards preventing attempts to subject girls to FGM in November and December in Baringo County. Suleiman said husbands force their wives to undergo FGM to avoid missing out on family inheritance. Some chiefs and their assistants from the areas were accused of shielding FGM perpetrators from prosecution. "In East Pokot District the community in collusion with the Provincial Administration has changed the mutilation period from December to August to avoid the public, Government and media focus that comes at the end of the year," Wrip Executive Director stated. 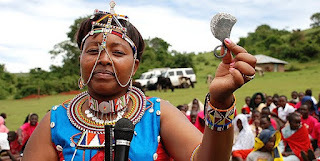 She added that those who escaped the practice mid year or underwent alternative rite of passage are forced by their relatives to undergo the FGM in December. The report showed that only 99 girls underwent FGM in the months of November and December while 125 escaped and sought refuge in churches and at homes of relatives who are against the vice. Suleiman further stated that lack of awareness of constitutional rights has made some girls not to seek legal action against perpetrators of the vice for fear of reprisals from their parents. "There is need to educate them on laws, the court processes and the outcome especially on the fact that moving to court will not have their parents arrested," she said. The Wrip boss urged anti-FGM stakeholders to let the campaigns be a continuous process to end the vice. ACTIVISITS OR ANY OPPOSING AND JOURNALISTS REPORTING ABOUT FGM IN AFRICA LIVES IN FEAR EVERYDAY AND DEATH THREATS, AFRICA PEOPLE ARE TWO FACED THEY LIE TO WESTNERS (DONARS) WHILE THEY STILL MUTILATE AND TORTURE AFRICAN WOMEN!! ACTIVISTS DISAPPEAR FREQUENTLY IN AFRICA AND NO ONE REPORTS ON THAT! Tribal leaders in Liberia in Western Africa have threatened a local journalist with female genital mutilation (FGM) after she published an investigative work that revealed some two out of three girls in the country are victims of the mutilating practice. Mae Azango, a reporter for the daily FrontPage Africa and the news website New Narratives, told the international press freedom watchdog Committee to Protect Journalists (CPJ) that she has gone into hiding after receiving several threats for an article she published on Thursday about Liberian tribes practicing female genital mutilation on as many as two out of every three girls in the country. Wade Williams, the editor of FrontPage Africa, said that several people around town had confronted her over the article, which was widely discussed on radio programs. Williams also said that the newspaper and its personnel were receiving threatening phone calls. “They said that for us putting our mouth into their business, we are to blame for whatever happens to us,” she said. Azango told CPJ that she had notified police and was waiting for an investigation to begin.Liberia’s deputy police director, Al Karley, told CPJ that the investigators would look into the threats. “Liberian police must immediately investigate these threats and ensure the safety of Mae Azango and other FrontPage Africa staff,” said CPJ Africa Advocacy Coordinator Mohamed Keita. Azango won a grant from the US-based Pulitzer Center in November for reporting on reproductive issues, FrontPage Africa reported. Reporters across West Africa told Bikyamasr.com said that women’s issues and investigative reports on tribal practices can find the reporter facing a backlash. Personally Activists that are on the ground have reached to me telling me how they have been threatened even by some government officials!! She is one of the most active foot soldier on the ground she is in hiding as we speak. so people who reallt don't know our people (AFRICANS) do not paint a different picture outside because you are being lied to, our people are two faced especially when they can smell money they will tell you anything you want to here and even praise you for nothing!!. but when you leave they are back to their old ways.